To those who think of the Star Wars franchise—particularly the original trilogy—as a boys club where women not named “Princess Leia” are utterly marginalized: prepare to have your expectations upheld. Vulture’s Chris Wade and Abraham Riesman compiled every line spoken by a woman other than Leia in the first three Star Wars films, and the results are laughably lopsided. How many women other than Carrie Fisher even get the opportunity to speak in these movies? Wade and Riesman put the count at three, and their combined dialogue comprises just 63 seconds out of 386 possible minutes of screen time. That goes well beyond merely flunking the Bechdel test. 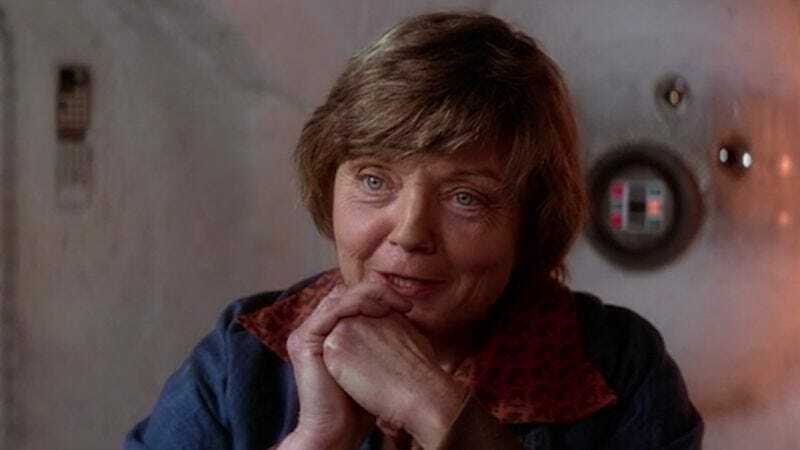 In A New Hope, there is Shelagh Fraser as Beru Lars, Luke’s kindhearted aunt. Virtually everything she says is about Luke: How he’s not a farmer, how he takes after his father, how he has “some things to do before he started today,” and so on. But that’s an avalanche of dialogue compared to The Empire Strikes Back, a movie with just one female speaking role other than Leia. In that movie, Brigitte Kahn as Toryn Farr utters these immortal words and literally nothing else: “Stand by, Ion Control. Fire.” Screen time? Three seconds. Return Of The Jedi grants actor Caroline Blakiston an entire speech as Mon Mothma. She even has a quasi-famous, semi-quotable line in there: “Many Bothans died to bring us this information.” It’s not exactly “May the force be with you,” but it’s something. In retrospect, the most fully developed, non-Leia female character from Star Wars’ classic era may just be bartender Ackmena, portrayed by Bea Arthur in The Star Wars Holiday Special.